Two weeks ago, I received a Klout Perk to be part of the Social 46, a gathering of Indiana’s top social media influencers. According to the Indianapolis Super Bowl Host Committee, Klout was used to help identify the participants, and the list was augmented manually with known local bloggers, gadflies, and connectors. I do not know how many of the 46 were “found” by Klout versus already known by the committee, and it’s not particularly relevant. Last week, the group convened to learn more about the Super Bowl festivities – which have a breadth almost unfathomably far beyond the football game. (see the killer mobile app) In addition to a briefing by the host committee, we were exhorted to help make Super Bowl 46 in Indianapolis the “most connected” Super Bowl ever. What that means in practice was (and remains) a bit murky. The original plan was for the participants in the Social 46 who created the most chatter to receive special prize packs for their social diligence. This idea was scrapped by attendees who almost universally expressed a desire to help shine the light on Indianapolis as proud residents, eschewing game mechanics. Generally, the group has taken to the cause like a crafter to Pinterest, with dozens of tweets, photos, blog posts, and more popping up daily – and the game isn’t for another 10 days. Former reporter, now PR guy Tom Spalding is chronicling the blow-by-blow with regular Storify collections from the Social 46 trenches. I’m a new Hoosier, having moved to the state in August 2010. I don’t have as much of a connection to it as others in the Social 46. I live in Bloomington, not Indianapolis. I’m about 75 minutes south, and still get lost in downtown Indy where the festivities are taking place. I don’t have a lot to offer in the way of insider tips. My “influence” is not Indiana-based. 4% of my Twitter follower are Hoosiers, according to Peek Analytics (which I love for in-depth examination of persons in social media). This compares to 84% for Tom Spalding, for example. I’ll do more next week, when I’m visiting the official Super Bowl Social Media Command Center (run by Indy social/content agency Raidious), and checking out Super Bowl Media Day, the Super Bowl Village, and NFL Experience with my family. For now, however, I’m more interested in the burgeoning kerfuffle (a great band name, feel free to steal it) around the Social 46 itself. In exchange for lending our time and personal networks to the Super Bowl cause, the host committee plied us with a laptop bag, a Super Scarf, a beanie hat, a time-specific ticket to the NFL experience, a ticket to NFL media day and the “right” to use the #social46 hashtag (which of course anyone could use if they want to do so). By my estimation, total value of $150, max. Am I grateful to receive these gifts? Sure. The scarf is toasty. The media day ticket saved me $25 out of pocket, and who can turn down the joys of a special hashtag? But do these items influence how, why, or whether I participate in this program? Not really. However, it concerns me that the host committee did not instruct any of the Social 46 on how to disclose that these items were provided for free, potentially putting the host committee and all participants in violation of FTC disclosure guidelines. A quick (albeit cursory) check of content created by the Social 46 shows that disclosure is mostly absent (good job by Bob Burchfield!). I have addressed it below through cmp.ly (which I love, am an investor in, and very much wish the host committee would have adopted). 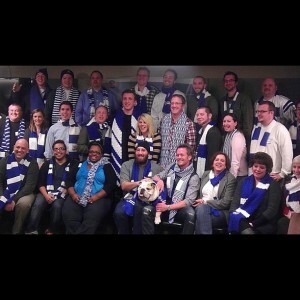 Beyond the fact that the host committee dropped the ball on disclosure, there is a truly extraordinary amount of vitriol within the Indianapolis social media “community” about who was (and who was not) asked to participate in this Social 46 program. Some of the complaints are simply misguided – like this post from local communications consultant Allison Carter – who seems to believe that companies and organizations should be required to publicly state how they determine who to include in outreach programs. I’m sure Wal-Mart will gladly publish their blogger outreach criteria. Ford too. And Dell. Just ask. Maybe a Wiki? Should companies also publish the rationale every time they send a targeted coupon in the mail to high efficacy consumers based on past purchase history? Ridiculous. In other cases, the ire is downright nasty, with all manner of name calling and reputation questioning occurring on Twitter and elsewhere. I guess I’m fortunate that none of it has involved me personally, but I’ve never been happier to NOT be part of the Indianapolis social media “community” which is making that label look more and more like a misnomer. And I’ll be honest: I would have loved to have been chosen. But this isn’t about me. This is about helping our city come together to show the world what we have. However, this program is causing divisions, cliques and confusion. I hope this program is a smashing success and Indy becomes a social media darling. Social 46? Prove me wrong. If your objective is to “show the world what we have” then why do you give a hoot about a free ticket, a silly hashtag, and a goddamn scarf? Is the subtext that unless you’ve been selected and anointed as part of the Social 46, that you are not eligible to help visitors enjoy the game? Where’s the community spirit in that? If you want to help, help. By tying reward to the behavior so intrinsically, you are supporting the very construct you rail against. As Ricky Gervais says, offense is taken, not given. And the participants in the Social 46 didn’t request to be included. They were identified by a computer and/or by members of the host committee. To tear them down because someone – for reasons algorithmic, altruistic, or otherwise – selected them versus you or anyone else is the ultimate shoot the messenger scenario. If you’re not happy about being “left out” of the uber-prestigious scarf giveaway, take it up with Klout or the host committee. Long ago, when I was a political campaign consultant, I learned a maxim that seems particular apt in this case: The smaller the stakes, the bigger the fight. I’m on record as liking Klout, and not just because it keeps me ensconced in beanie hats. (see my post: 3 Reasons critics of Klout are missing the big picture) Does its methodology have flaws? Of course it does. But you know what else has flaws? Having PR interns surf the Web to semi-randomly click on blogs and Twitter accounts to put together murky Excel spreadsheets of “influencers” that are then sold to clients as “research.” At least Klout provides half-truths with a side of mathematics. And the reality is that whether it’s Klout or something else, companies and organizations WILL continue to make liberal use of social scoring data. It’s a shortcut, a way to find the trees in the forest. We are entering an era of bespoke relationships, whereby your real-time interactions with companies will be dictated (at least to some degree) by your purchase history, “influence”, location, and other factors. It’s the Delta SkyMiles program on steroids, and unfolding second-by-second. If you don’t think companies are going to start routing social customer service inquiries to different teams based on Klout score (or similar), you need to wake up. Do I wish we were all treated equally? As a human being, yes. But that’s not the way the real world works, and it’s certainly not the way we’re headed in an era where every behavior is tracked, and Big Data can be used to filter and segment and optimize. Most Klout perks are of the product variety, or are national in scope so that the recipients and non-recipients aren’t personally acquainted. Do I bemoan the fact that I’m not eligible for free RoC Deep Wrinkle Night Cream? I guess, as I’m not getting any younger. But I don’t begrudge those who can use their Twitter habit to smooth their crow’s feet. In the case of the Social 46, the psychology is altogether different. Because the participants were selected to be signal amplifiers and adjuncts of the host committee, there is a perception that we are “representatives” (albeit reps that are unofficial and untrained – as Ms. Carter wisely pointed out in her post, which was not wholly without merit). And conversely, that those not selected are not “worthy” of being representatives. If the star belly Sneetches got their stars via email; or were notified 1:1 by Sylvester Monkey McBean when they logged on to his website; or just got a star shipped to them via FedEx, the Sneetches without stars would never have known about it, and wouldn’t have put up a fuss. If you’re going to use Klout as a sorting and identification mechanism, think twice about doing so in a local or regional market (or any other closely knit community online or otherwise). And if what you want your group to do is shout about their participation publicly over a short time frame, be prepared for blowback. That’s my view from ringside. 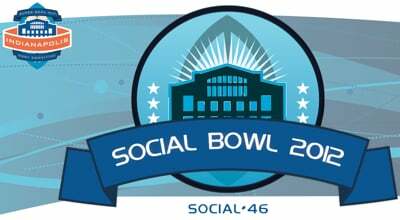 What’s your takeaway from the Social 46? Jay Baer is the founder of Convince & Convert, a Hall of Fame keynote speaker and emcee, host of the award-winning Social Pros podcast, and the author of six books including Talk Triggers: The Complete Guide to Creating Customers with Word of Mouth.